Hubert Blonk Papers. SPC 006-0628-5-39_11-B1. 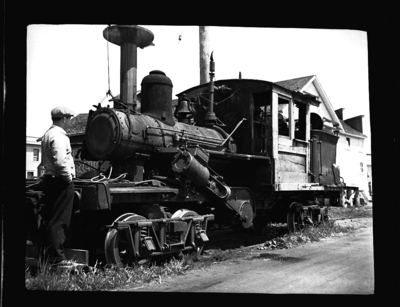 A man stands in front of a steam engine.